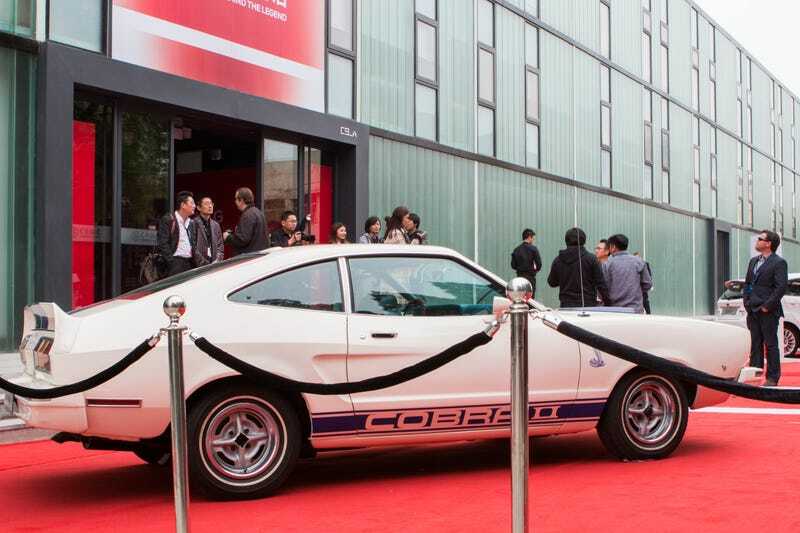 I was in China when Ford rolled out this pristine 1976 Cobra II on red carpet to celebrate the Mustang's 50th anniversary in Beijing. I thought it was kinda funny to see the Chinese fawn and fuss over what most of us the "western world" would consider a bit of a turd. Not that I don't kinda love the Mustang II but it rarely gets red carpet treatment here!